A nursery or kids room is the smallest bedroom of a house or other apartments set aside for an infant or toddler till teenage. A typical nursery would contain a bed, a table, as well as various items required for child care, such as baby powder and medicine. This premise is exclusively used as a space for child's sleep. The furniture organization and the space management are important, for a nursery, as the little details of their room will make the child love his room and will spend more time there. 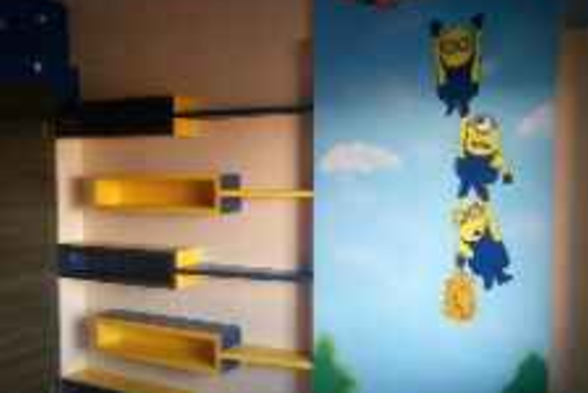 Decorate kids room by adding a personalized, unique touch with several toys and other beautiful accessories. 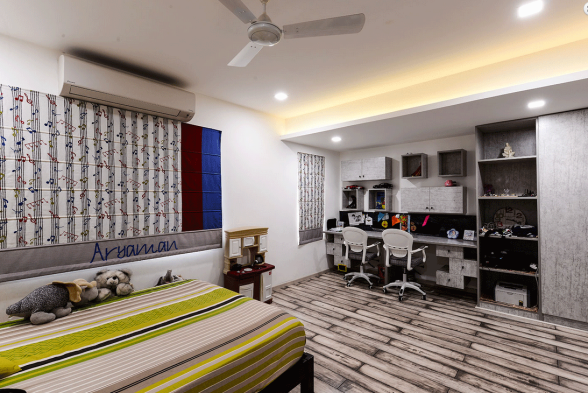 Create a magical place for your child by designing their room with inspiring unique designs and exciting styling possibilities. Try to put forward some creative ideas to customise their rooms with perfect decor, furnishings and accessories. 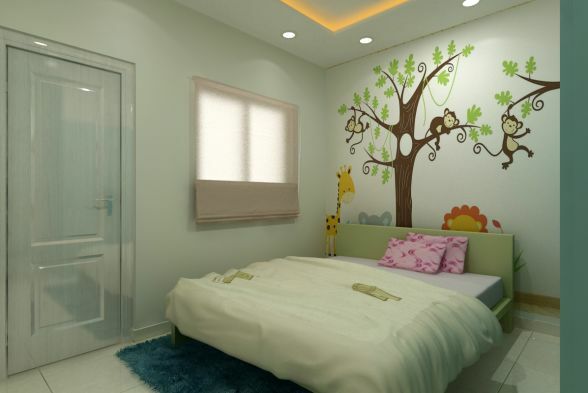 Child’s room should reflect their personality, tastes, and passion, their input and ideas should be encouraged and welcomed for the designing purpose. 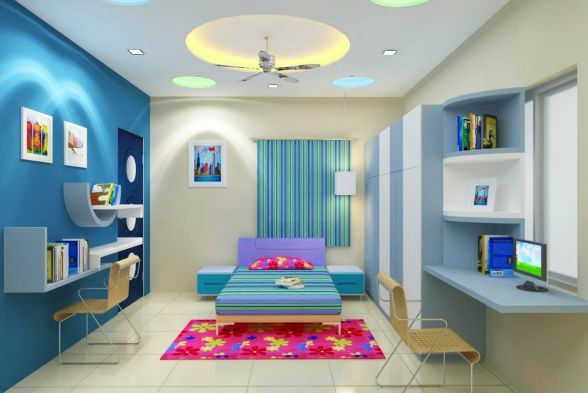 The room should contain essential colorful, and interesting storage space for toys and other belongings. 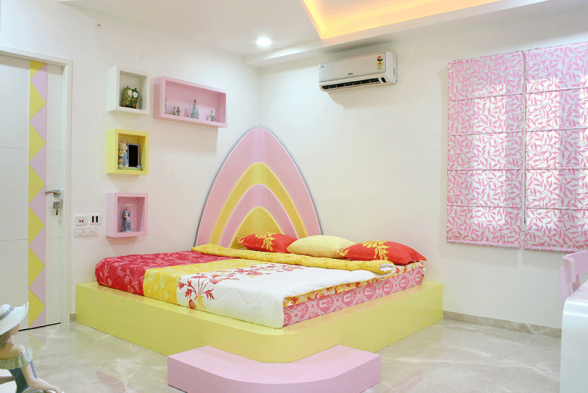 Kids rooms has no restrictions in choosing any wall color according to their desire. We can keep some walls more neutral with softer colours and use one wall as a statement with bright color or patterned wallpaper. Vinyl flooring is the best flooring idea for kids room, as it is easy to clean and maintain. The carpet and wooden floors are also suitable, as it helps them in sitting and playing. Lighting is an important add-on, which helps in creating a mood as per the atmosphere of their room. Use bold bright colors, funky patterns, and eclectic children’s bedroom furniture. Try to create comfortable seating areas, beds, energetic climbing walls, indoor slides and create a special space for bedtime ease. 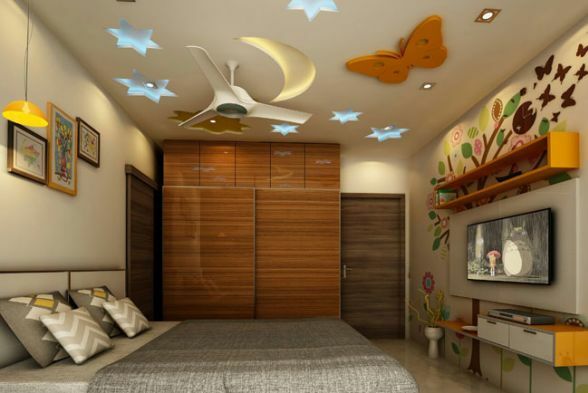 Walls can be made colorful with wall stickers, starry night ceiling lighting, and other wallpapers. 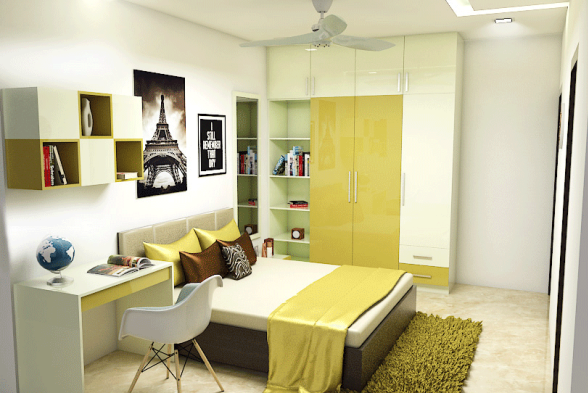 Teens should have modern bedroom style that looks cool and vibrant. 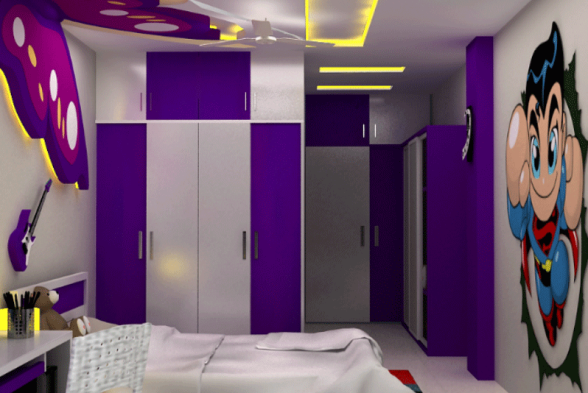 The room will include various accessories like carpets, rugs, mirrors, drawers, tables, toys and other furnitures. 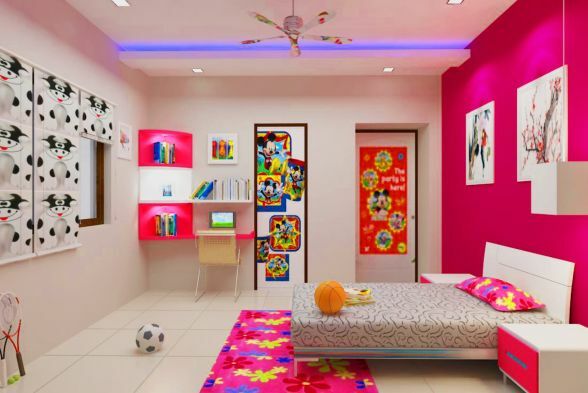 Kraftivo will help you in finding several design style ideas for the kids rooms and can guide you through the creative process to help you produce an extraordinary room for your little champ. If you have any other queries please contact our registered professionals.